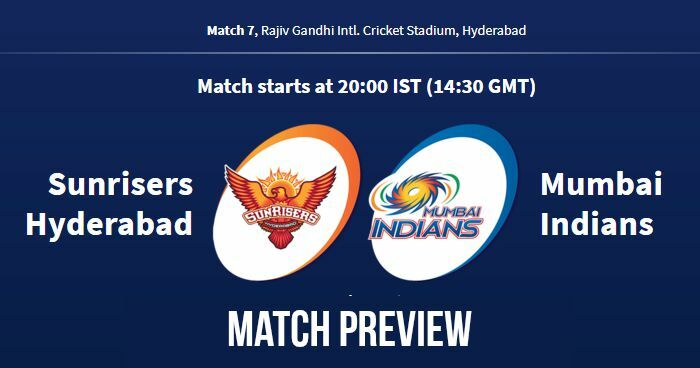 Home / Hyderabad / IPL / IPL 11 / IPL 2018 / IPL 2018 Match Preview / Match Preview / Mumbai Indians / Rajiv Gandhi International Cricket Stadium / Sunrisers Hyderabad / IPL 2018 Match 7 SRH vs MI: Preview, Prediction and Head to Head: Who Will Win? 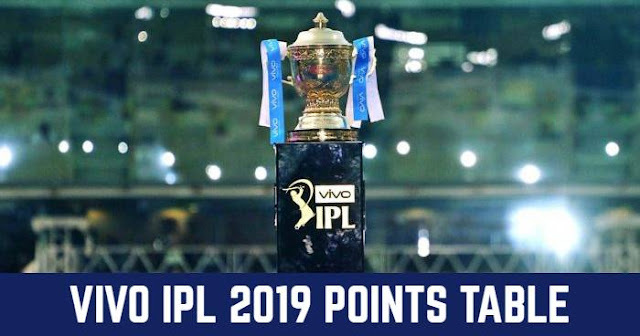 IPL 2018 Match 7 SRH vs MI: Preview, Prediction and Head to Head: Who Will Win? Sunrisers Hyderabad (SRH) and Mumbai Indians (MI) will play the 7th match of the 11th season of Indian Premier League (IPL 2018) on 12th April at Rajiv Gandhi International Cricket Stadium, Hyderabad. As far as weather is concerned, the day will be hot at temperature 36ºC, while temperature during the match hours will be around 25ºC. The wicket at Rajiv Gandhi International Stadium is considered as a flat track, which tends to slow down as the game progresses. This means that the spinners would enjoy bowling here than the pacers. The one game played here this season was low scoring between Sunrisers Hyderabad and Rajasthan Royals. Mumbai Indians will be visiting with a loss on their back against Chennai Super Kings in the tournament opener at their home. On the other hand, Sunrisers Hyderabad had a nine-wicket victory against Rajasthan Royal in Hyderabad. The best news for the Sunrisers Hyderabad is that their opener Shikhar Dhawan is in form from the first match; scoring 77 runs from 57 balls with a strike rate of 135.09. Sunrisers’ batsmen were not really tested. Sunrisers have the strongest bowling unit on paper and also showed in their last match. SRH are unlikely to make any changes to their playing XI from their last match, they also have strong players on the bench. Mumbai Indians doesn’t look settled with their both department; batting and bowling. Openers Rohit Sharma and Evin Lewis were unable to give a perfect start. Their all three frontline pace attack Mitchell McClenaghan, Jasprit Bumrah and Mustafizur Rahman was expensive against Chennai Super Kings. Injured Hardik Pandya will be a trouble for MI; he got ankle injured during the match against CSK. Saurabh Tiwary looks the favourable replacement for Hardik Pandya. Mumbai Indians and Sunrisers Hyderabad had 10 encounters in Indian Premier League (IPL) and both won 5 matches each. In last 5 matches, Sunrisers Hyderabad has won 3 of them and Mumbai Indians have won 2. With 5 matches played at Hyderabad, Sunrisers Hyderabad had won 3 and the remaining 2 are won by Mumbai Indians. Toss: Sunrisers Hyderabad won the toss and elected to bowl first. Result: Sunrisers Hyderabad won by 1 Wicket. Playing XI for SRH: Shikhar Dhawan, Kane Williamson (c), Manish Pandey, Deepak Hooda, Yusuf Pathan, Wriddhiman Saha (wk), Shakib Al Hasan, Rashid Khan, Sandeep Sharma, Siddarth Kaul, Billy Stanlake. Playing XI for MI: Evin Lewis, Ishan Kishan(wk), Rohit Sharma(c), Suryakumar Yadav, Kieron Pollard, Krunal Pandya, Saurabh Tiwary, Mayank Markande, Mustafizur Rahman, Jasprit Bumrah, Ben Cutting.